Ho! Ho! Yum! No more milk and cookies for Santa. This grown-up Christmas drink makes even the jolliest old elf less ho-hum and more fun! 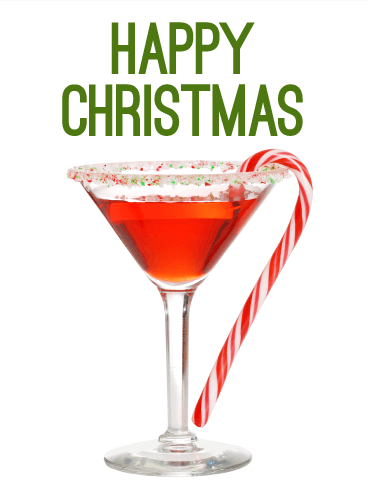 Celebrate the Christmas season in style with a festive and flirty holiday martini. Toast your friends with a spirited holiday greeting card this year. Holiday shopping is stressful-sending holiday cards doesn't have to be! Take the edge off with this Christmas cocktail. Shaken, not stirred-and a twist of peppermint, please! Love comes softly. Peace comes gently. This holiday greeting card takes a moment to reflect on the beauty of the Christmas season. Stare out on a peaceful winter scene with a cup of hot cocoa in your hands. Breathe deeply and remember-the magic of the season is in and around you. 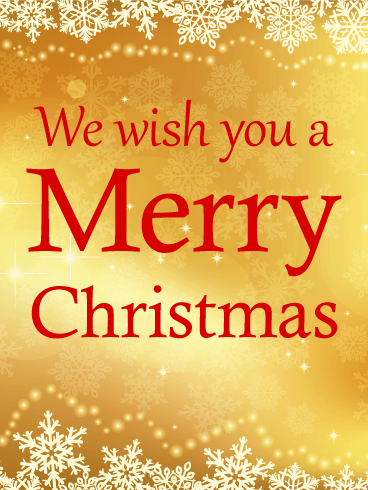 Spread Christmas cheer with this warm holiday message. Send a cozy Christmas card to your friends and share a moment of bliss. 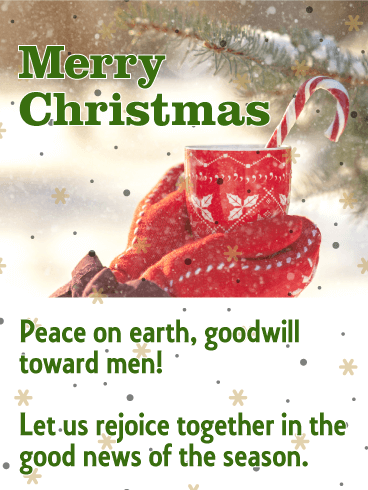 The good news of Christmas is for everyone-peace on earth, goodwill toward men. The spirit of the holiday season is one of peace and love. Send a thoughtful Christmas card to those near and dear to your heart. A beautiful winter scene conjures up warm feelings from holidays past, and readies the heart for upcoming festivities. 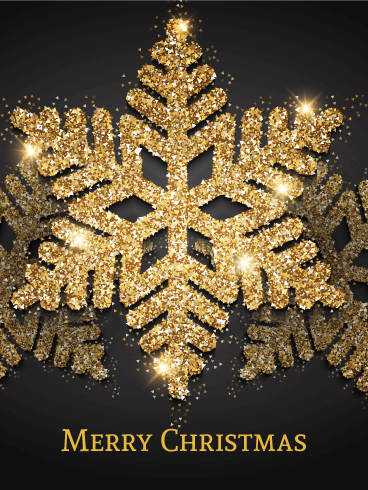 Add a touch of sparkle to the season and send this gorgeous holiday card today. Sugar cookies, gingerbread houses, hot wine, and candy canes-Christmas is the most scrumptious holiday of all! 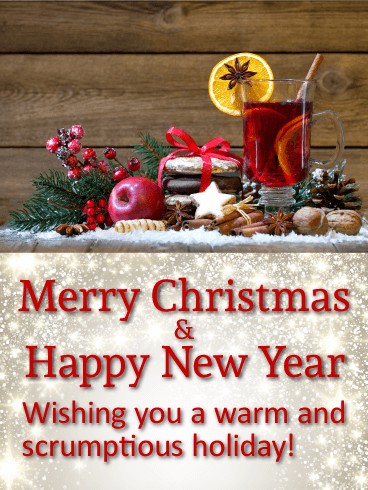 Send this festive Christmas card and spread the yum! A yummy Christmas card is the perfect way to spread goodwill and giggles this holiday to all your friends both far and wide. This gingerbread boy is just too sweet! He's ready to send warm wishes for a happy holiday season to all your loved ones near and far. Give them a treat with this decadent and chic Christmas greeting card. When you send a holiday card, you send a smile! It's time to deck the halls and gather round the fire. Time to wrap the gifts and send thoughtful Christmas cards! Christmas is a special and well-known holiday, offering a celebration that fits everyone's tastes. If you love a classy Christmas celebration, this elegant Christmas card is the perfect option for your holiday greetings. The glimmering gold designs and shining bells will be the perfect addition to your holiday gifts and the best way to say "Merry Christmas" to your loved ones! For many people, the best part of Christmas is winter-time snow and beautiful holiday decorations. If you know someone who appreciates these parts of the holiday season, this Christmas card is the best way to send your holiday greetings. The bright sparkling snowflake and golden glitter will quickly make this the best Christmas card they receive this holiday season! A couple's first Christmas together is a very special event. This Bright Color Christmas Tree card is the perfect way to send holiday greetings to your significant other this Christmas season. A Christmas tree fills the right side, decorated with red, green, blue, and yellow lights, fake snow, and a colorful star. 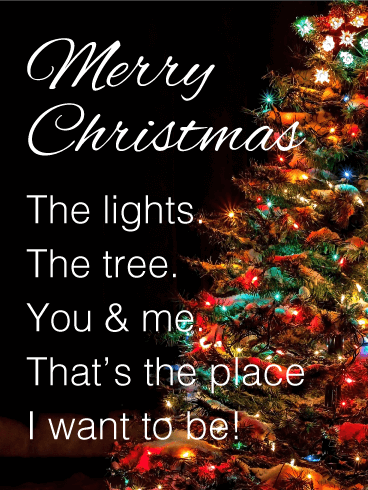 On the black background, "Merry Christmas - The lights. The tree. You & me. That’s the place I want to be"” is written in white. Christmas trees come in all shapes and sizes, but they all celebrate the most wonderful time of the year! 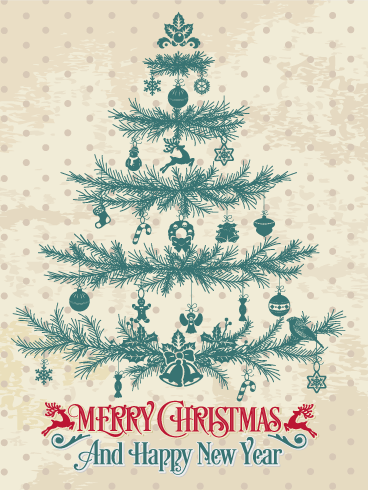 This Christmas card has a brightly colored Christmas tree on a black and green background. The tree is made from ornaments, stars, snowflakes, and ribbons of yellow, green, blue, red, and pink. At the top is a bright, shining star. 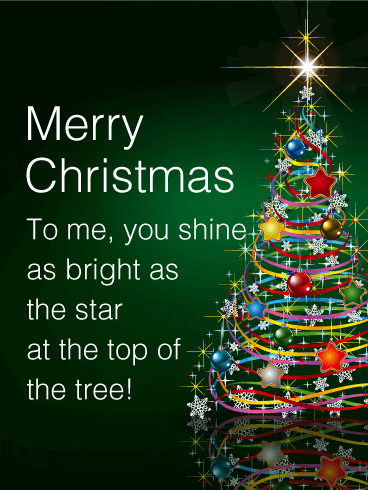 The card reads, "Merry Christmas - To me, you shine as bright as the star at the top of the tree!" Nothing about the holiday season is better than the time spent with family. 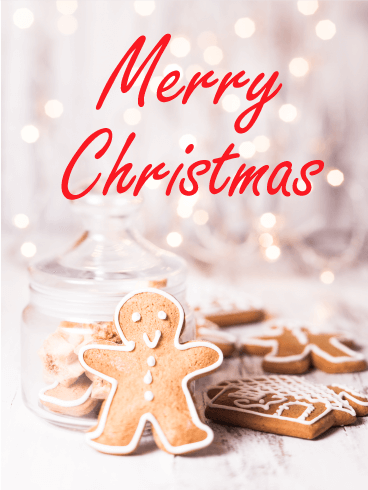 This Christmas card celebrates this special occasion with a message that reads, "Merry Christmas - Unwrap the magic of the holidays with all the people you love!" In the background, bright lights, stars, ornaments, ribbons, and swirls form a sparkling Christmas tree. 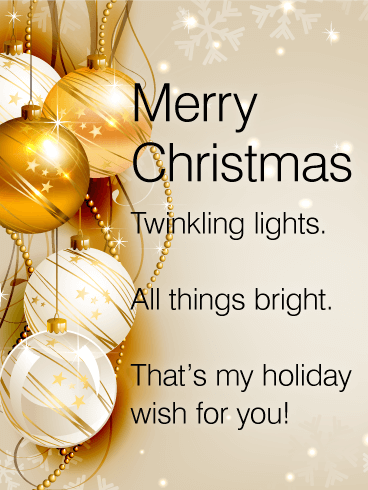 These lights and stars spread into the black background, making it a beautiful card to send this season! When you begin to see Christmas trees in stores, homes, and cities, you know it's almost time for the holidays. 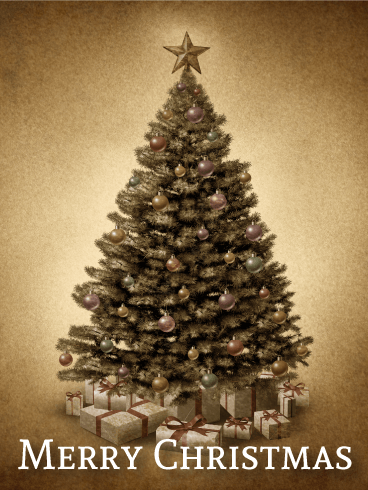 This Christmas card has a light-filled background with a beautifully decorated Christmas tree on the right. 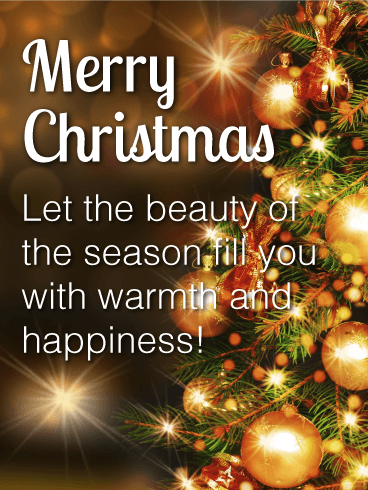 Ornaments, ribbons, and lights fill the sparkling Christmas tree, with "Merry Christmas - Let the beauty of the season fill you with warmth and happiness!" written beside it. Send it to your loved ones today! It's almost time for Santa Clause's annual trip around the world, delivering gifts to children everywhere! To celebrate, this Christmas card features a magical holiday scene. Bright blue and white lights fill the black background, forming a forest of shining evergreen trees. Above them, reindeer pull Santa in his sleigh on their long journey. 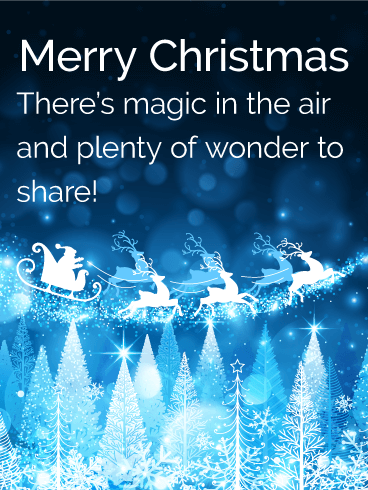 At the top, the message says, "Merry Christmas - There's magic in the air and plenty of wonder to share!" Are you excited for the holidays? 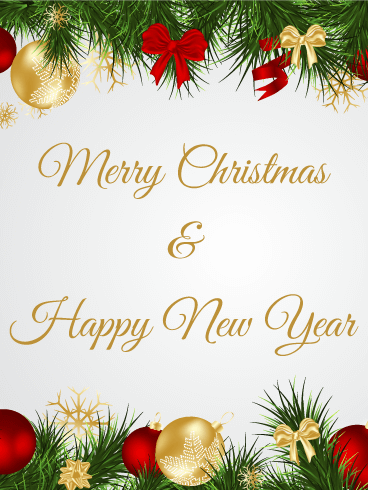 If so, spread your excitement and cheer by sending this Christmas and New Year card! The background is a mix of light blue and pink, with a gentle snowfall. At the bottom are three red ornaments, decorated with white snowflakes and covered in fog. At the top, "Merry Christmas & Happy New Year - Reflect on the special moments. 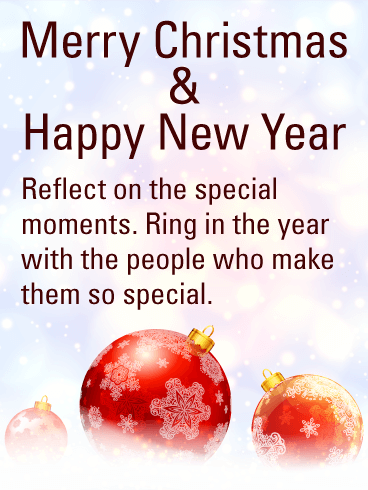 Ring in the year with the people who make them so special." is written in brown. Ornaments of all colors are an important part of Christmas decorations. 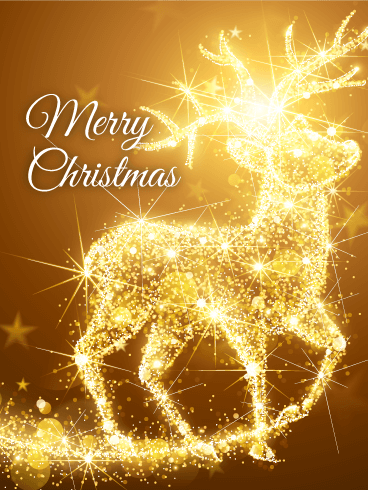 This Christmas card features a large red ornament decorated with swirls of gold glitter. This ornament sits among curls of cream ribbon and beside another red ornament. The message says, "Merry Christmas - I hope every part of your holiday season is as special as you are!" Send this card to your loved ones this holiday season! Christmas is a silent, holy night and this Golden Bauble & Christmas Candle card captures that magical holiday feeling. At the top of the card, snow falls gently down toward the collection of decorations at the bottom. Silver and gold ornaments, gold ribbons, and cloth poinsettias surround two burning candles. 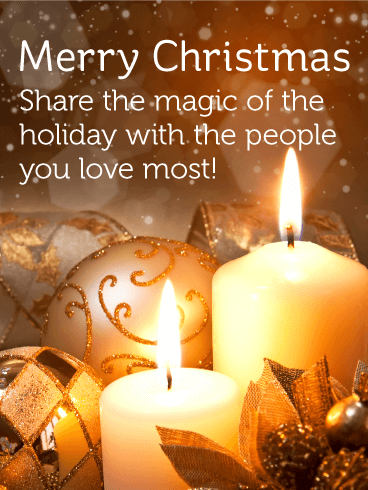 The card reads, "Merry Christmas - Share the magic of the holiday with the people you love most!" Comfort and joy to you and yours. This holiday card is warm with the flickering light of a candle and snowflakes that seem to be falling before your eyes. 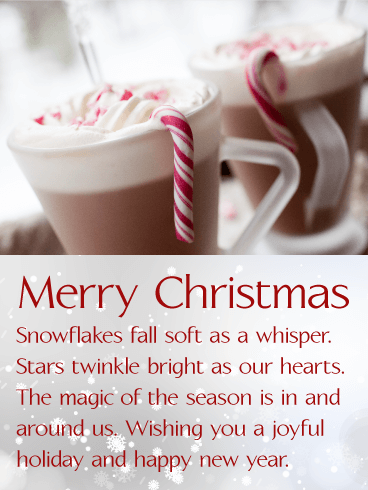 A glittery Christmas scene on a festive holiday card is a perfect way to send light and warmth to your family and friends this Christmas season. 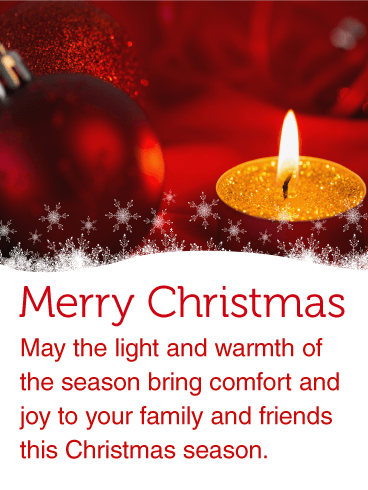 Wish a Merry Christmas this holiday season with a breathtaking Christmas card. At Christmas, we light a candle for all the world to see. A candle that symbolizes peace, hope, faith, and joy for me, for you, for all. May your heart be the light and may you love in word and deed. 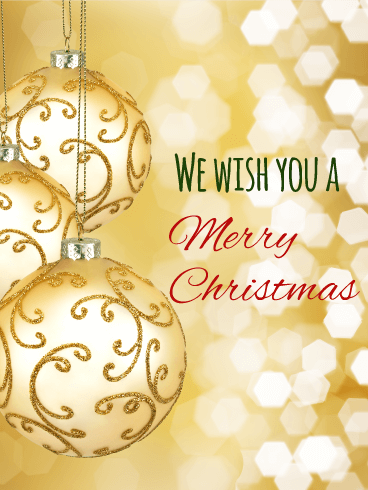 Send this thoughtful holiday greeting that captures the quiet beauty of Christmas. This Christmas card says it all and says it best. The shining Christmas lantern gives a magical and antique touch to this stunning Christmas card. Starry skies make us dream. Send something different this Christmas season with this bold and dazzling holiday greeting card. The golden stars can hold all our wishes and dreams, but they also remind us of times gone by and all the wonderful memories we keep. 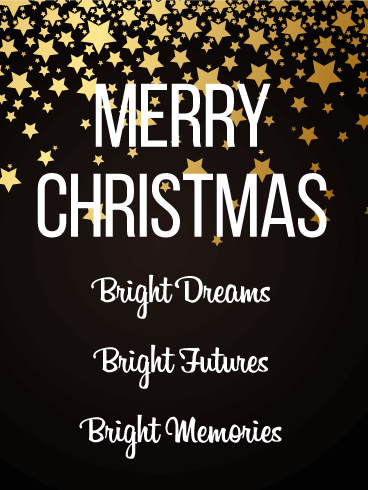 The white text on black background creates a dramatic Christmas card that reminds us what Christmas is all about: bright dreams, bright futures, and bright memories. Christmas is for everyone! No snow? No worries! This sand snowman loves to celebrate the season as much as his frosty friends. From your side of the world to theirs, wish your loved ones a bright and beautiful holiday season with this terrific Christmas card. 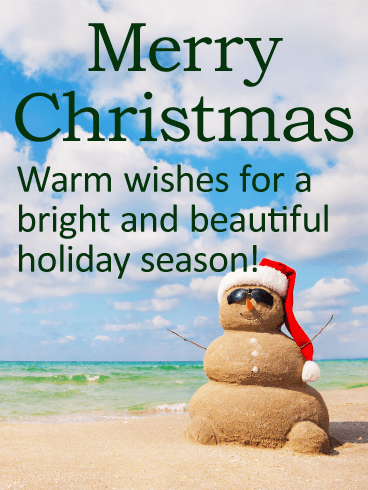 This fun holiday greeting sends some salty sea breeze love to anyone on your list who could use some warming up from the winter blues. Soon it will be Christmas time! Hear the bells? See the lights? 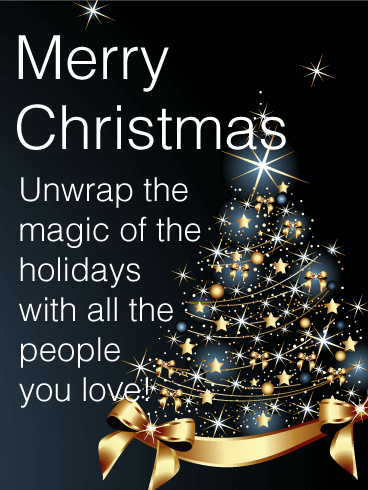 There is magic and wonder everywhere as people bustle to buy presents, bake cookies, and spread good cheer! Send this gorgeous holiday card in the spirit of Christmas! Small acts of kindness go a long way. 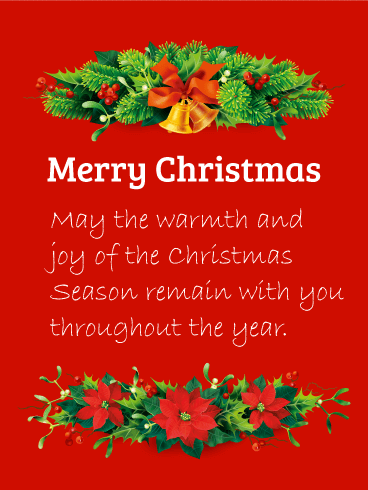 This Christmas greeting wishes the warmth and joy of the season all year long. It is in classic Christmas red and green with Christmas bells and poinsettias that add a festive touch. Poinsettias are symbols of good cheer at Christmas time! It is said they bring wishes of mirth and celebration. 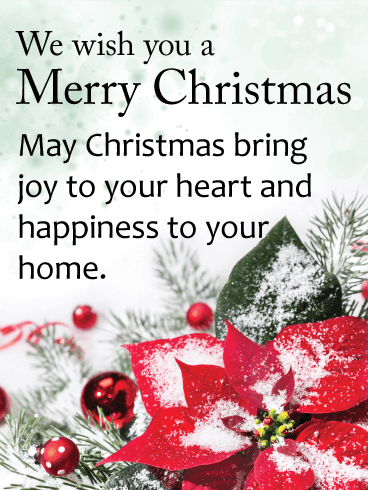 This lovely holiday greeting card is a great card to send if you want to wish someone a very merry Christmas. A thoughtful Christmas card can do wonders for the heart and soul! 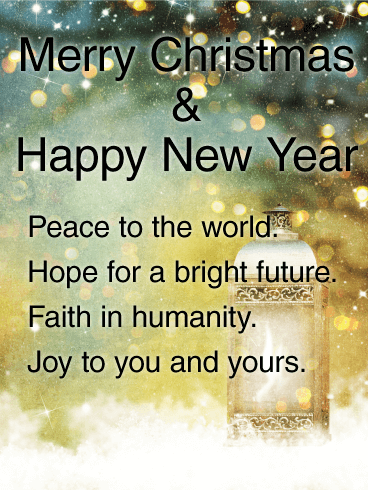 Christmas is about spreading peace and joy to the world, and that's what this holiday card is all about. 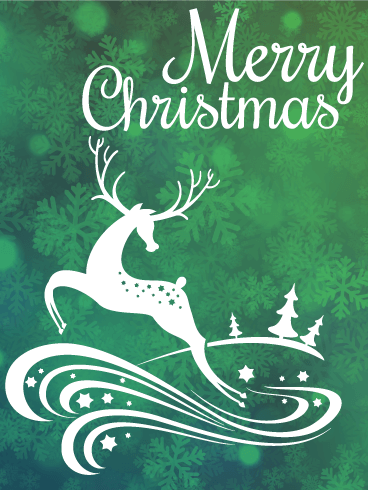 This beautiful Christmas card features a stylized reindeer prancing among snowflakes and pine trees. The gorgeous background adds a festive touch with several shades of Christmas green. 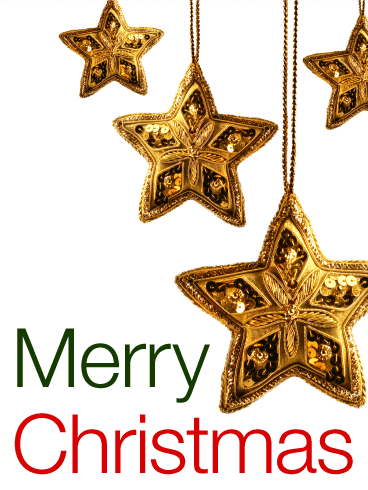 A simple "Merry Christmas" greeting completes this lovely Christmas card. Show your good taste by choosing this classic yet unique reindeer design for your Christmas cards this holiday season. This is the perfect Christmas card to send to any friend or co-worker. Do you know someone likes to decorate their Christmas tree with star-shaped ornaments? They will love this Christmas card! 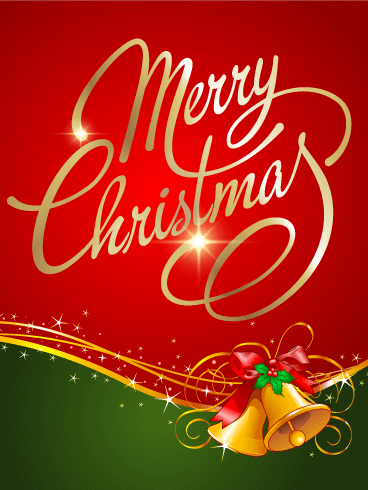 The card has a white background with "Merry Christmas" written in red and green on the bottom. Four golden, star-shaped ornaments hang from the top, covered in sequins and stitched designs. Send your holiday greetings with this Christmas card today! Have you decorated your own Christmas ornament to give as a gift? Now you don't have to! Send this White Christmas Bauble card to your loved ones to start the holiday celebrations. Green and white snowflakes of different shapes and sizes decorate the top and bottom of this green card. 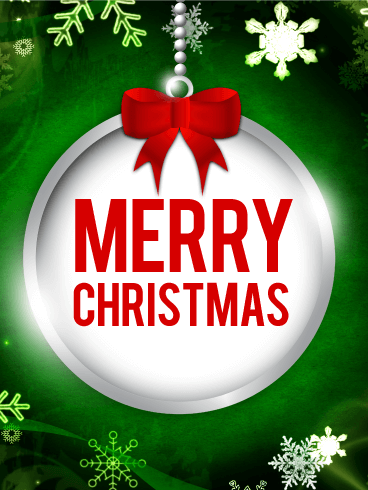 A white bauble with a red bow hangs in the center, with "Merry Christmas" written on it in red. Are you having a holly jolly Christmas this year? 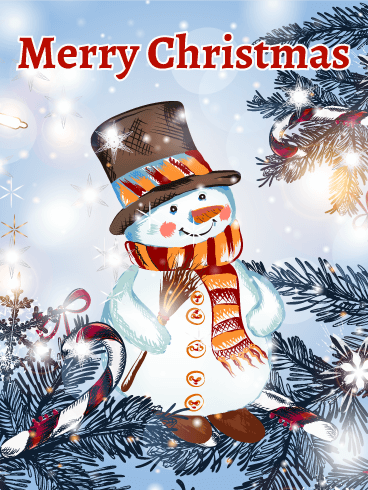 Help your friends and family have a merry holiday season by sending this Christmas card! 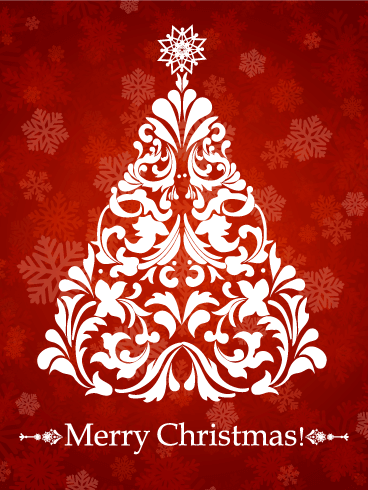 The background is silver and the top and bottom are filled with fir branches, ribbons, snowflakes, bows, and ornaments, all in red and gold. 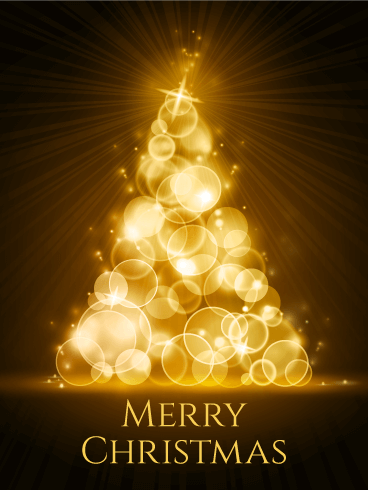 In the middle of the card, "Merry Christmas & Happy New Year" is written in gold cursive. 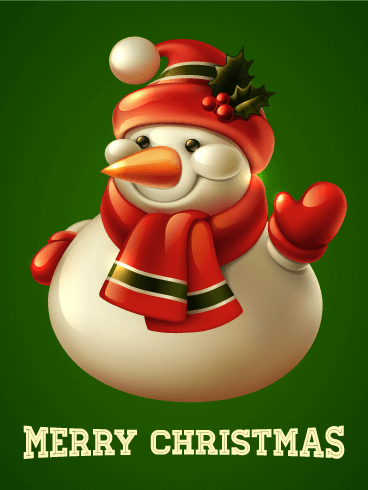 When you think of Christmas, what comes to mind? This Christmas card shows all the best parts of the holiday in the colors of Christmas - red, green, silver, and gold. 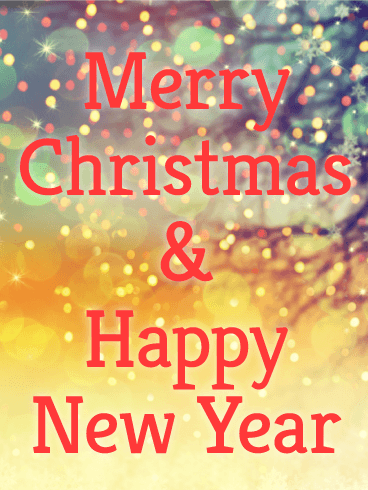 Red-ribboned presents, evergreen branches, holly, candy canes, snowflakes, and poinsettias form a frame around the "Merry Christmas & Happy New Year" message in the center. Send your holiday greetings with this Christmas card today! A sepia tone Christmas is just what you need! Like a sweet memory floating in from the past, let this holiday greeting card bring a smile to the face of the one you send it to. The most inviting Christmas scene is the one of presents wrapped and waiting beneath the Christmas tree. You cannot ask for a more perfect and quintessential tree complete with gold star on top. This inviting Christmas greeting is flawless! 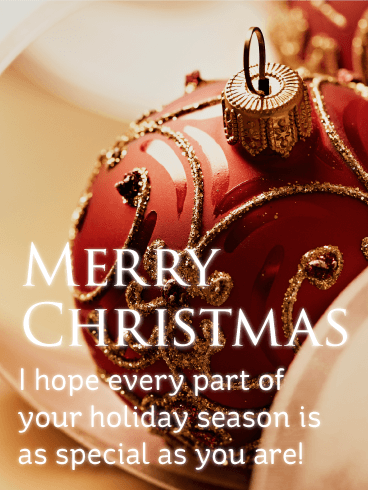 Send it now to spread beautiful Christmas wishes and warm holiday cheer. In two tone red and white, it is a beautifully simple card with an elegant and sophisticated touch. The snowflakes are falling down and around the Christmas tree made up of antique scrolling, leaves, and swirls. Send it now to let someone know what a treasure and gift they are. We Heart Christmas! Who doesn't? Send a fresh and cheer-filled holiday greeting card this Christmas season to really get in the spirit! 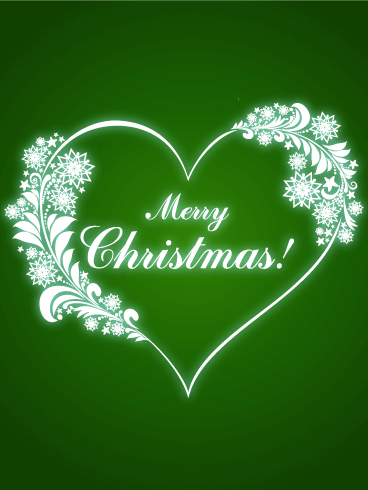 This Christmas tree green card boasts a beautiful heart interlaced with snowflakes and stars. This Christmas card truly glows with warm wishes and holiday flair. Don't miss the chance to send a stunning Christmas card to everyone on your list! A polka-dotted Christmas card will charm them! 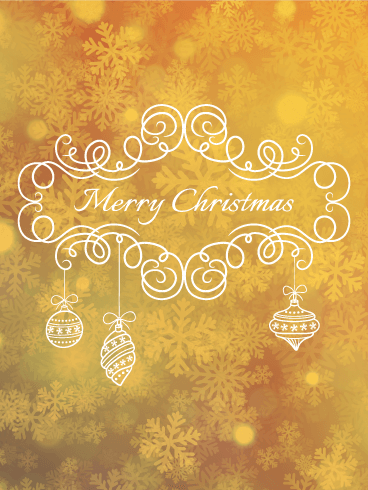 This beautiful Christmas greeting offers a touch of the past with its antique font that looks like something straight from Dickens classic "Christmas Carol." The Christmas tree is trimmed in peppermint canes, snowmen, and other holiday treats. 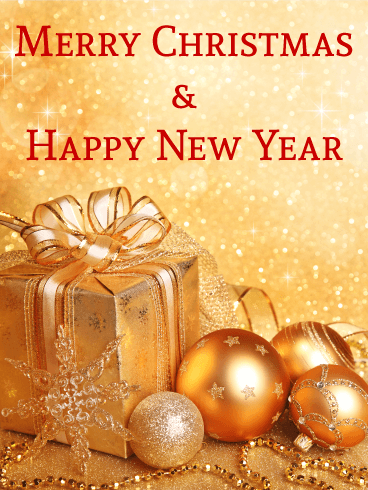 Wish someone a merry Christmas and a happy New Year with an attractive holiday card. 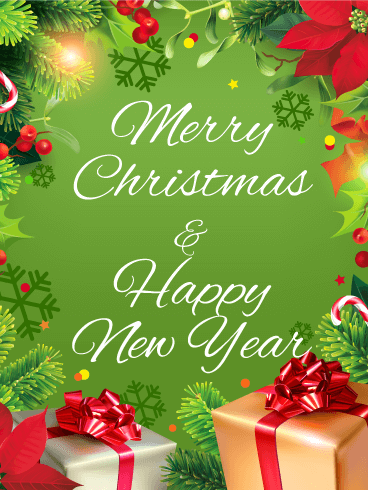 ‘Tis the season to be jolly and to spread good Christmas cheer! This card does just that.